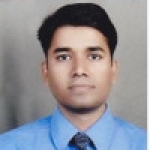 This profile includes - Inbound & Outbound Sales management. - Candidate should be able to understand the present market condition for the IT products and identify the new business possibilities for our services. - Utilize multiple resources such as email, phone, social selling and web tools to communicate and present company offerings to prospective clients. - Working Knowledge of most effective way of using LinkedIn and Prospecting would be advantageous. - Must have excellent written and verbal communication skills and ability to manage clients / prospects in the US, Canada, Australia, etc. - Ability to write reports and proposals. - Collaborate with internal development and marketing team to arrange for a demo or any other pre-sales activities. - Presenting your findings to a technical team to act on, and then to the client. - Capacity to work well on your own or in a team. - Answering any technical questions, the client might have. - Effectively build and execute a target achievement plan to maximize revenue. - Should have the knowledge of the Sales Cycle and should have worked on a CRM software to manage the cycle.